Our beautiful selection of girl’s hats, gloves, and scarves are all the little lady in your life needs to keep warm in the winter and cool in the summer. It’s never too early to teach your little one how to accessorise, and our matching winter sets are great as gifts and will bring her outfits together meaning she will look as cute and stylish as ever. If she’s out exploring in the sunshine, make sure her head is protected with our selection of sun hats so that she can enjoy the great outdoors without a care in the world. When the cold weather hits, kit her out in soft woollen hats and scarves, or let her individuality shine through with quirky faux fur hats and ear muffs. 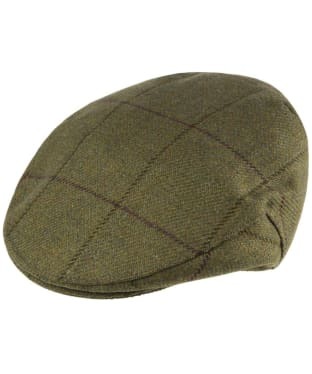 For your outdoorsy little adventurer, we have traditional flat caps for days in the field, or cosy hunting hats to keep her little ears protected from the cold. The Girls Barbour British Waterway Fairisle Scarf is part of the British Waterways collection. Made in Scotland, this felted lambswool scarf features a floral jacquard design. 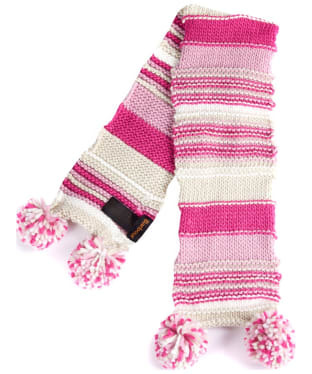 The Girls Barbour Ella Stripe Scarf offers a super soft and cosy knitted scarf in a textured stripe design with matching pompoms featured at either end. Perfect for wrapping your little one in warmth this season. Matching hat available. 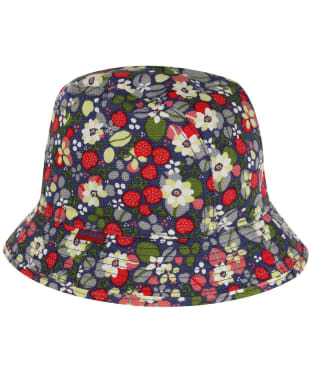 Girls Barbour British Waterways Bucket Hat. Cute printed cotton canvas pull on bucket hat featuring the new for SS15 Garter Blue print design from Julie Doddsworth.